This article outlines how you can add a document & create a document template against a record within the CRM. You can add a document to a Division, Contact, Lead, Problem or Quote record. Once you have opened the required record, you can either create a new document by using the quick add option or from the documents page. Use Template: This option enables you to choose & create one of your standard document Word or Excel templates. Upload Files: Using this option you will be able to select a file to save into the CRM from your file browser. External Link: This option will allow you to save a URL as a document, e.g. a link to a Sharepoint document. Send an Email: If you choose this option it will open the new email creation window, where you can choose to compose a personalised email or use a standard email template. Upload a Photo: If you're using a mobile device then this option will use your phone's camera to take a photo & save against the record you have open. 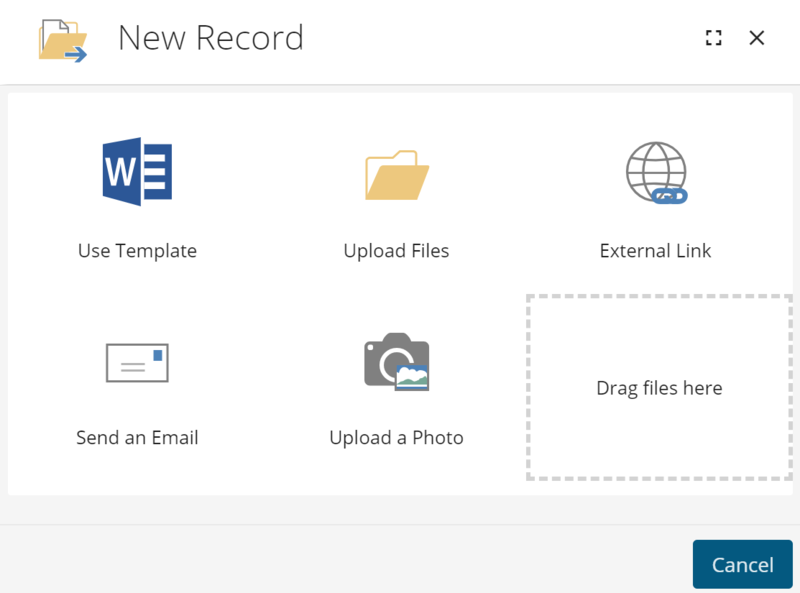 Drag Files Here: Here you can drag & drop a file from your desktop or file browser to upload to the CRM. It will take the file name as the document description. For more information about adding documents to records please see our video below.